This was the first thing that caught my attention while I was looking at the contents of the box, so naturally, this was the first thing I tried. So what is it? Essentially, it's a foaming cleanser that contains black rice, black soybean, and black sesame extracts, plus macadamia and jojoba seed oils. What makes it unique is that it has a small silicone brush for exfoliating connected to the top of the bottle, where the cleanser comes out. I actually have a similar cleansing brush, but I very rarely use it because it can be hard to use. That problem is solved here because the bottle itself serves as the handle for the brush. Pretty neat! Does the brush help with getting rid of blackheads? Yes, but not completely. If you regularly use BHAs to help unclog your pores, that would make it easier for this brush to remove them. Either way, using this is much better than trying to squeeze out the blackheads yourself. Also, the physical exfoliation from the brush does help in making the skin look more even-toned. The only thing I dislike about this is that when you use it for the first time, you have to keep pressing the button for a minute or so before the cleanser actually comes out. I took so much time doing this that I wasn't sure if I just wasn't pressing the button hard enough or if I got a defective item. Also, there is the danger of over-exfoliating. If you're not careful, you might end up with broken capillaries, which can only be corrected with laser treatments. If you're going to use the brush, use it by gently brushing at each area for only 1-2 minutes. Full ingredients list and COSDNA analysis here. 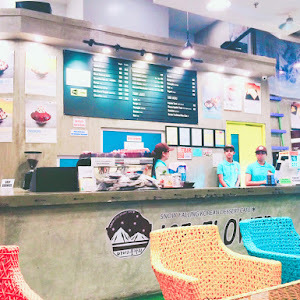 Next up are products from Etude House's AC Clean Up line (formerly AC Clinic). I'm guessing "AC" stands for "acne control", as this line is formulated with acne-fighting ingredients such as salicylic acid, tea tree oil, and madecassoside. 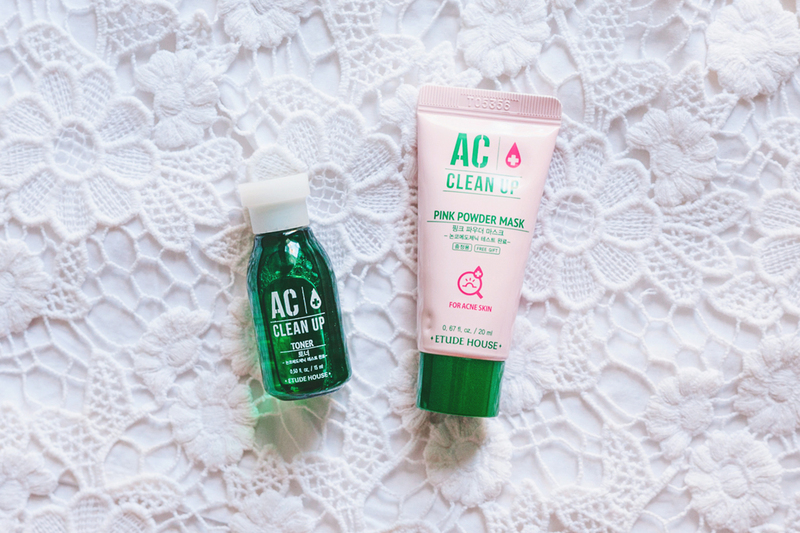 The Skincare Essentials box contains two sample-sized products from this line – the AC Clean Up Toner and the AC Clean Up Pink Powder Mask. The AC Clean Up Toner is a daily toner with salicylic acid. 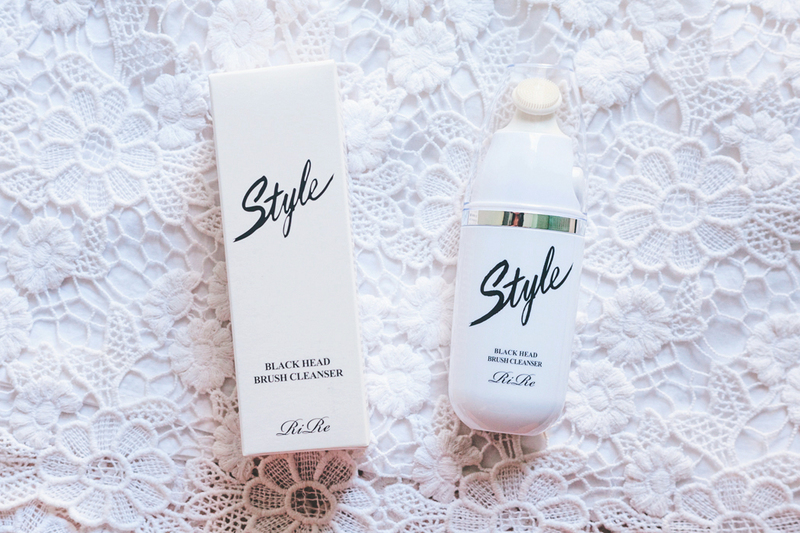 I'm guessing this would be more of a "cleansing toner"—a toner that you use for picking up residue after cleansing—rather than a hydrating one. I'm not sure if this could work as a pH-balancing toner, as I can't test for the pH myself. The way I use this is by putting a small amount on a cotton pad and then swiping gently along my face. It's very watery (which is why I opt to use a cotton pad) and gets absorbed into the skin quickly after application. It also has a refreshing herbal scent. Since the AC Clean Up line is targeted towards acne-prone skin, I thought this toner would be too drying for me, but it isn't. It does contain alcohol though, so there's that. But it works well as a cleansing toner, if you feel like you need one. Next is the AC Clean Up Pink Powder Mask, a wash-off clay mask with Vitamin E beads which nourish and exfoliate the skin, and Calamine which controls excess oil and helps treat and prevent acne. Since it's a clay mask, it also helps reduce redness and tighten pores. After cleansing, you're supposed to apply this on the entire face except for around the eyes and mouth. After 10-15 minutes, gently wash off with lukewarm water. At first, I wasn't sure about using this product. I very rarely get acne these days, and when I do it's only the occasional two or three. I was worried that using this product for my entire face might be a bit overkill. After much hesitation, I tried using it once. It wasn't drying at all. Rather, it was very soothing on the skin. It also had a slight cooling effect, which I liked a lot. This would be great for calming breakouts. 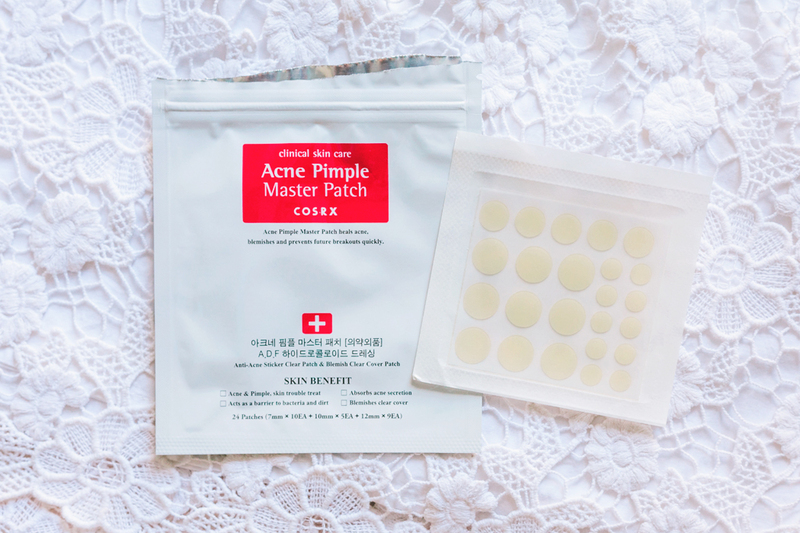 I had a couple of small pimples at the time that I tested this, and this mask helped lessen the redness. I think for someone dealing with acne, you'd be able to see visible results if you use this as recommended, which is once or twice a week. If you're like me who only gets a few pimples at a time, you can use this as a spot treatment. This works as a regular clay mask as well. If you gently massage your face while rinsing the mask off, the Vitamin E beads act as physical exfoliators, which I think is nice. I've never encountered a hair mask product before, so this was all new to me. I had to search for photos on the internet because I wasn't sure what it is. I found this video that explains how to use it. It works kind of like a sheet mask, but for your hair. You put it on damp hair after showering, massage your hair for a bit, then leave the mask on for around 5-15 minutes. Your hair's supposed to be smoother after drying, just as your hair would be if you went for a fancy salon treatment. 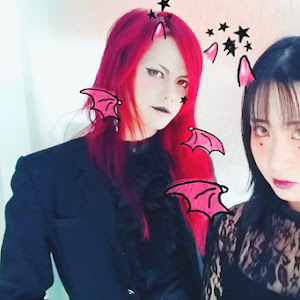 I think it's a very interesting product, especially if you have an event to go to but no time to go to the salon. 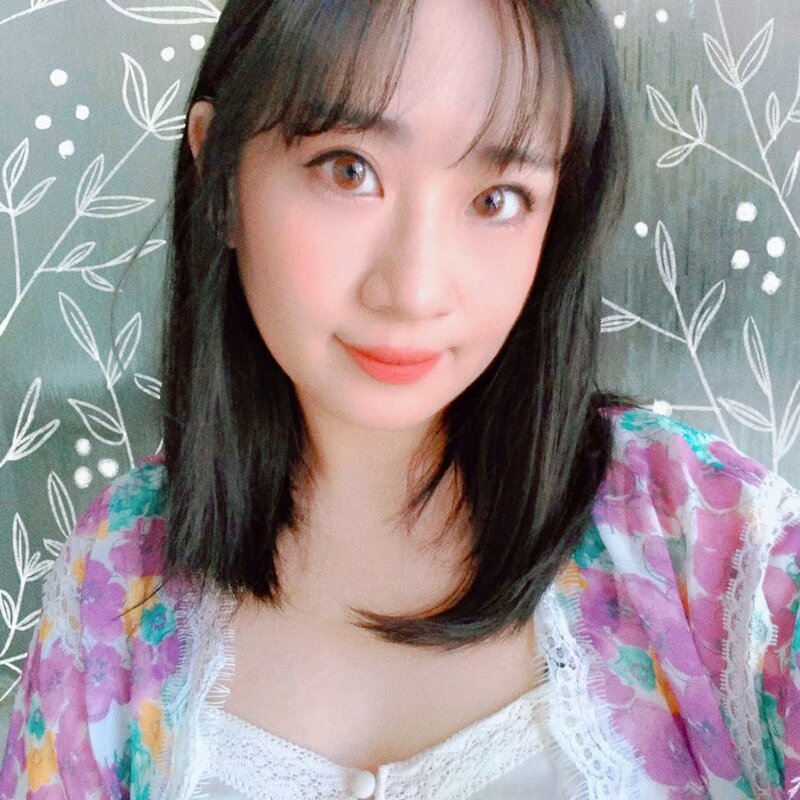 But the thing is, I have hair that gets super oily after just a day, so I try to avoid any products that can make my hair look greasy (hair oils, conditioners, etc.). Aian has dry hair from constantly styling and having it colored, so I think he might like this product more. 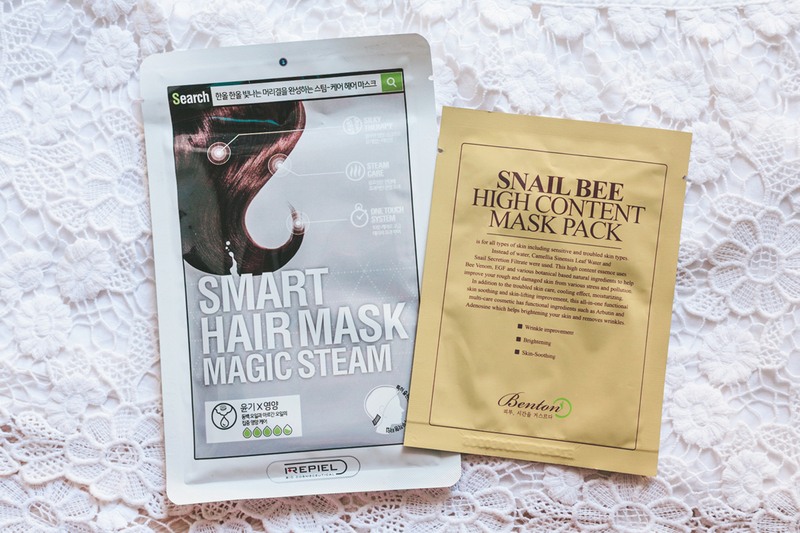 The Benton Snail Bee Mask is a product that I'm already familiar with. This has mixed reviews on r/AsianBeauty because Benton's Snail Bee Essence is one of the most raved about products on there, but this one is just okay compared to the essence. Personally, I quite like this sheet mask. I tried using it after applying my first essence, toner, and the Snail Bee Essence, and the immediate effect was nice. The effect isn't ~*~amazing~*~ but it's visible. My skin always feels softer and looks more even-toned when I use this. It's also great with calming redness and breakouts, so I like to keep at least one or two of these on hand. Despite being a huge COSRX fangirl, I've never tried this product before. I always add it to my cart, but then I remove it at the very last minute. The reason is because I keep thinking I don't need it, as I very rarely get acne other than occasional hormonal breakouts. I'm thankful that I finally got to try it now because it really is a useful product! I tried this on a pimple that suddenly appeared below my nose, and kept it on for half a day (I forgot about it completely lol). After taking it off, the pimple had become smaller. Even the disgusting gunk inside was pulled out. So amazing * u * I'll make sure to buy more of these on my next COSRX haul! 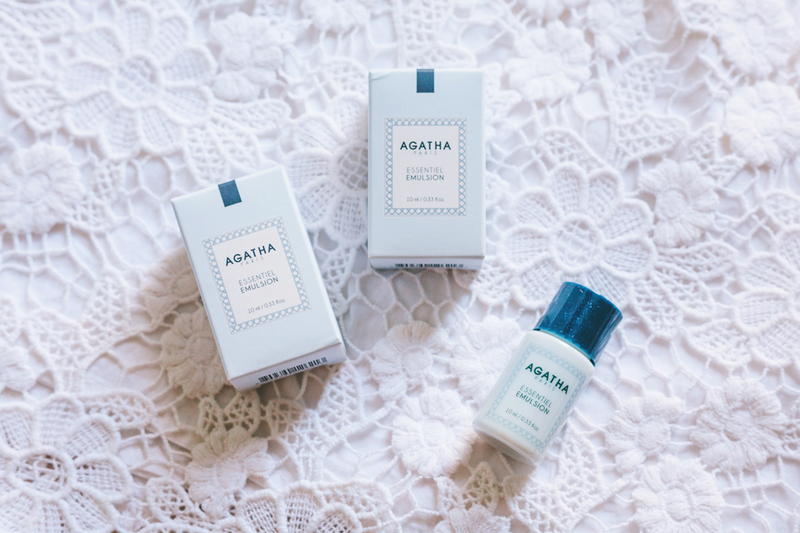 By the way, the Skincare Essentials box was supposed to come with samples of two different products from the AGATHA Essentiel line—the Essentiel Emulsion and the Essentiel Skin—as the two were meant to be used together. Instead, I was sent two samples of just the emulsion by mistake. So, unfortunately, I'm only able to give my thoughts on this one. From the name alone, you already know what the main ingredients are—honey and ceramide (to be specific, ceramide 3). The only other ceramide product I've tried is a sample of Holika Holika's, so I was excited to try this one out. I've been using it as an occlusive last step in my evening routine, but it's light enough to be used in the morning as well. No breakouts, which is always a good sign! I do feel like it's a very basic cream, as I haven't seen any amazing changes in my skin even after using it for almost a month now. But I like that it absorbs really quickly into the skin and that it doesn't feel as greasy as my other occlusives, even if I sometimes put too much product on. This would work well if you have normal to combination skin, but if you have dry or oily but dehydrated skin, you might want something that's a little more hydrating. If you're looking for something like an introduction to ceramides, this would be a good option. 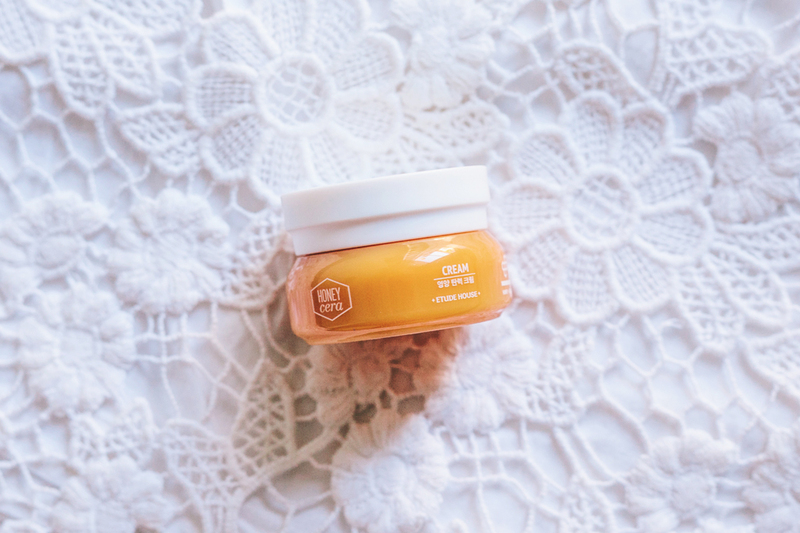 It has honey, royal jelly, and hyaluronic acid too, which are always great to have in an AB skincare routine. 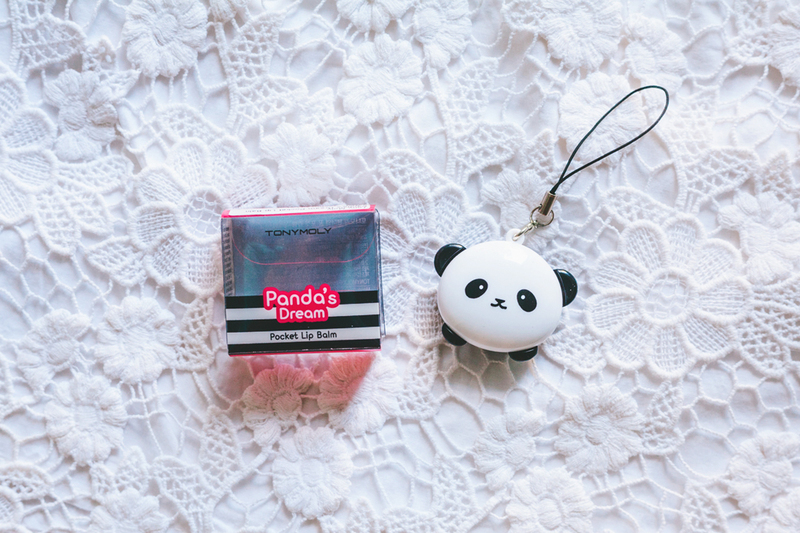 Last but definitely not least, this ADORABLE panda pocket lip balm from Tony Moly! So tiny and cute!! The lip balm itself is very moisturizing. It has a very subtle pinkish red tint and smells a bit like cherries. I personally prefer lip balms that give a more 'slippy' feel on the lips, so for me, this is just your regular tinted lip balm, only 10x cuter. I like that it comes with a small strap so you can easily attach it to your phone or bag. I'm sure I'm not the only one guilty of always misplacing their lip balms, so I think the strap is such a clever idea. 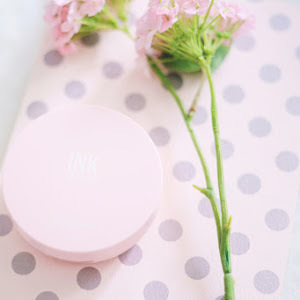 If it had a tiny mirror on the cap then it would be perfect for touching up on the go! Since the products included aren't heavy on the skin, you can use this routine for both morning and night. You can choose to use the Pink Powder Mask after toning, as recommended, but I prefer using clay masks before cleansing so I'm 100% sure that I remove any residue left over with my cleanser. Also, if you want to save some time, you can also move the REPIEL hair mask step to #3, so you can do all the other steps while waiting for the mask to take effect. 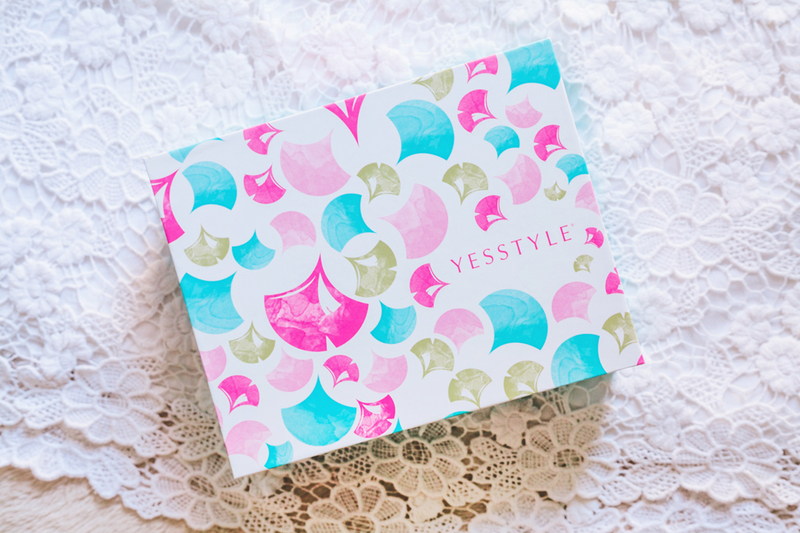 Overall, the YesStyle Skincare Essentials Beauty Box is a pretty solid collection of products. But is it worth it? That depends. 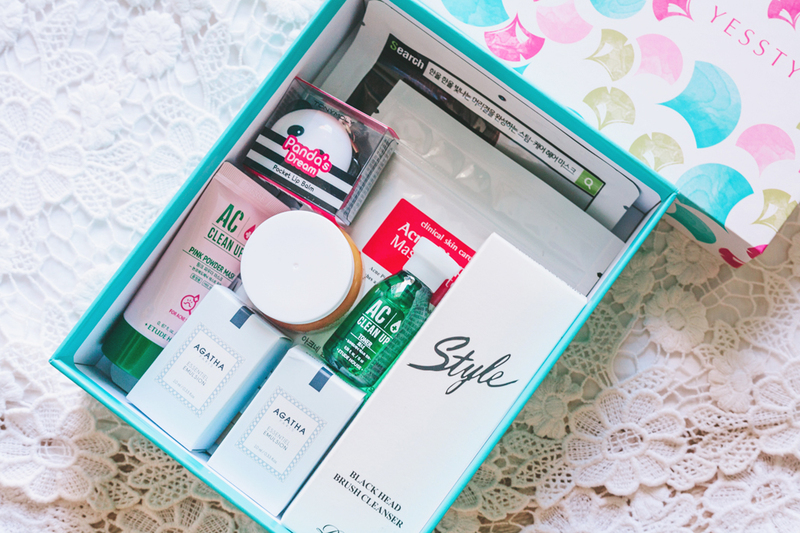 For more seasoned Asian beauty lovers, you might find this box a bit lacking, especially if you've already mastered the more advanced steps of Asian skincare routines such as acids, serums, etc. I've been into AB for more than a year now, so I already know what products I like and don't like. I already know what ingredients I need for my specific skin problems. 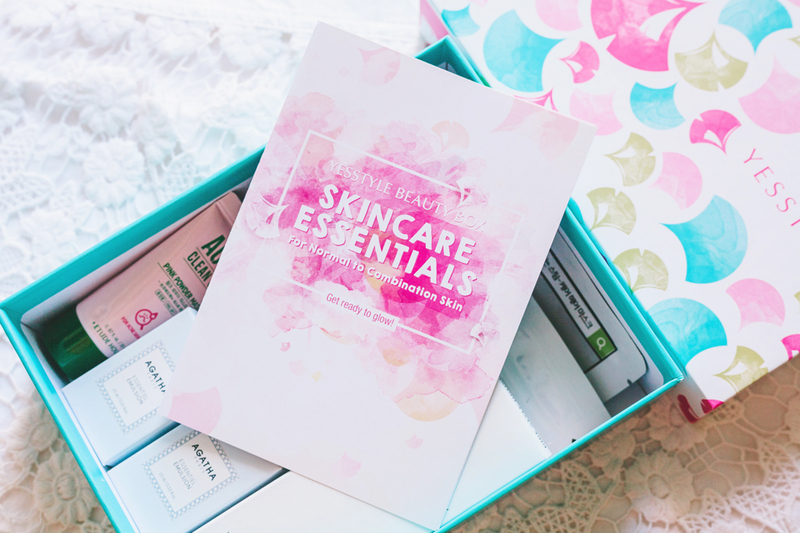 For someone who's just getting into Asian skincare or K-beauty though, this is a good introduction. 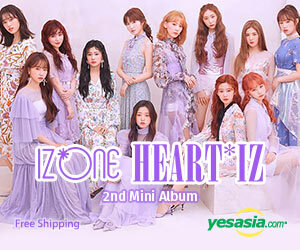 Want to get into the whole Korean-inspired multi-step routine but don't know where to even begin? Then this is the box for you. It covers all the basic steps of a multi-step routine, so it's a great start.